CLYP's marketing automation platform connects marketers to customers’ mobile phones via SMS, pass, e-mail and push notifications to deliver personalized offers to every customer based on their shopping history, purchase behavior and location. ClypTech was acquired by Fishbowl to power restaurant analytics and automation. 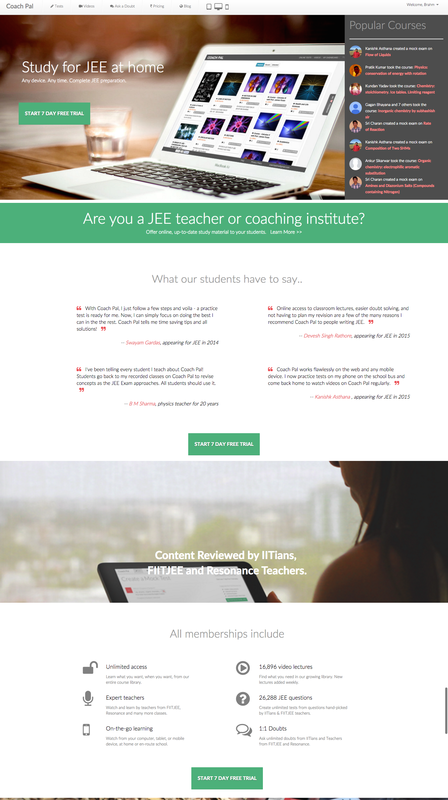 Study the best JEE courses - in Physiscs, Chemistry and Mathematics - online. Show practice tests and videos that students recently studied (tests, videos) on Coach Pal. Why Coach Pal? Because it has.. Create tests, answer questions, submit tests, view detailed solutions and your performance against students all over India. 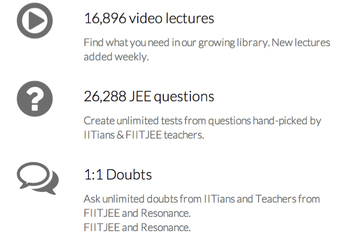 Study from the best teachers in India, watch videos, ask questions, on the go. We even have a fan following.. !